is the best you know." The Race Tech Ride Center program allows your local dealership to increase the quality, comfort, and safety of your Harley-Davidson's ride without shipping your suspension to Race Tech. 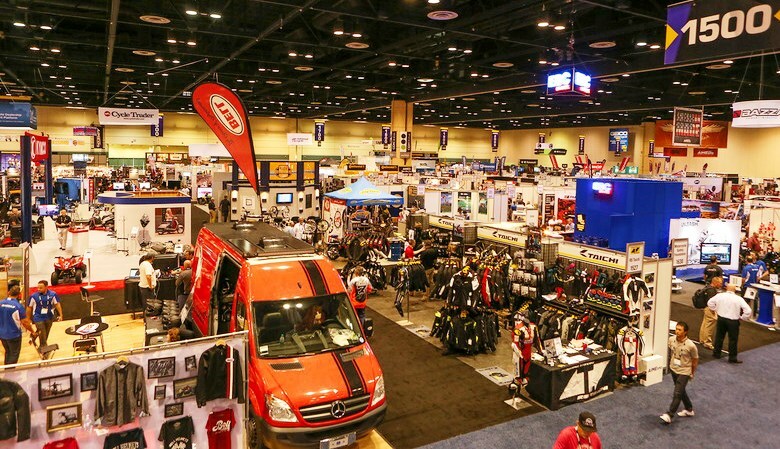 Participating Harley-Davidson dealers in the Race Tech Ride Center Program are able to offer the same great Race Tech products and services available at Race Tech's Headquarters in Corona. 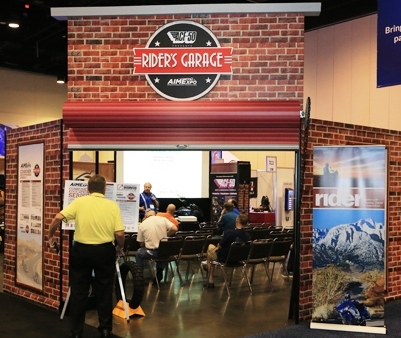 Are you a Harley-Davidson dealer and interested in becoming a Race Tech Ride Center? Click here to learn more about our Race Tech Ride Center Program or contact Christie Gunter for more information. LENGTH OPTIONS - We offer almost any length shock from lowered to standard to raised. Lowered for show or shorter riders, longer for ride quality, performance and handling. (Call us on the details.) There is no extra charge for optional lengths. Common lengths are 11 1/2" to 14" and anywhere in between. COLOR OPTIONS - custom powder coating of the springs is available. Race Tech FLEK-S Fork Suspesnion Kits incoude the award winning Gold Valve Emulator for Forks providing a personalized setup and adjustability along with Our Performance Fork Srings in Your choice of Spring Rate. Also incouded in the kit is the option for Lowering 1-2" as well as mantining stock ride height. These Kits can often be installed by individuals interested in understanding and tuning their own suspension or they can be installed by a local Race Tech Center, Dealer or of course the Race Tech's Service Department. Gold Valve Kits include Installation Instructions, Tuning Guides and alternate parts to allow a custom setup and adjust ability for rider preference and type of riding. G2-R 25mm Cartridge Kits are built to order and customized for your specs and riding type G2-R Cartridges provide a firm yet plush, consistent ride that providing more "feel and feedback" to the rider. Offering outstanding traction and control with much greater adjustability over stock fork setup this product will please the high performance rider!. Made in the USA with the highest quality materials, these complete kits come pre-valved, sprung for your specs and include tuning charts. We are now offering Race Tech Custom Forks for HD Motorcycles. All Custom Forks are built to order. They come with highly acclaimed 25mm Compression and HFR Rebound Gold Valves and Hi-Performance Lightweight Springs selected for the individual rider's size, type of riding and ability. Race Tech stocks replacement Fork Tubes by TNK. These tubes are OEM quality replacements. They are the highest quality and generally significantly less expensive than the original equipment. These tubes are made from the best materials and are available with color options. OVERSIZE FORK TUBES - We stock longer fork tubes for some HD models - please call. NOTE: These are "tubes only". Upside-down forks require removing and replacing the stock Fork Bottoms. Race Tech can provide this service or we sell the tool to do the job. Harley-Davidson Touring bikes are tyically undersprung and have damping that is both too mushy and too harsh at the same time. This compromises comfort, control and handling confidence. Installing Gold Valve Emulators and RT Hi-Performance Fork Springs on the front end is the best first-step for improved suspension. To improve the ride further G3-S Custom Series Shocks are bolt-on replacements for the stock units. They can be ordered in any length with any available spring rate for no additional charge. These custom shocks are built to the rider's specs, guaranteeing a smooth, comfortable, controlled ride. Custom colors and lengths are available as well. Harley-Davidson Softail® models have been key sellers in the fleet for the past few decades. Although these sleek, powerful machines are often made into pieces of art, the stock suspension has room for improvement and is often overlooked. These bikes are undersprung and have damping curves that are both harsh on the square-edge bumps and mushy as well. By installing RT Hi-Performance Fork Springs and Gold Valve Emulators, these bikes can perform very well up front. On the rear G3-ST Custom Series Shocks are available that feature adjustable length options to change ride height. The shock bodies are smaller at 2.5" in diameter so they clear most custom offset transmissions. 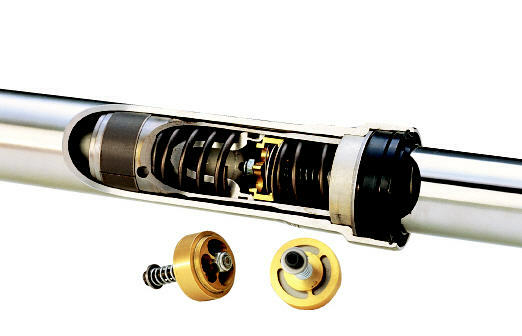 These newly redesigned shocks have Thru-Shaft Technology. The shocks are bolt-on replacements for the stock units and are built to the rider's specification guaranteeing an excellent ride. Dynas® have the classic Harley-Davidson look with low-profile frames and extended front rake, but the stock suspension, like most Harleys, has room for improvement. These bikes are undersprung and have the same damping issues as other models, mushy and harsh. 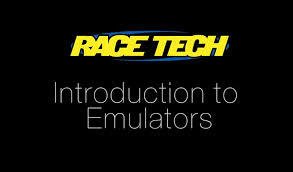 By installing RT Hi-Performance Fork Springs and Gold Valve Emulators, you can expect significant improvement. To improve the ride on the rear G3-S Custom Series Shocks are bolt-on replacements for the stock shocks. They are custom built to any length and to the rider's weight. The shocks have color options as well. We guarantee a smooth comfortable ride. Sportsters® have been in the Harley-Davidson lineup for over 25 years now. Once considered entry level, these models have received significant attention from the H-D engineers. Sportsters are commonly undersprung and the damping can be both harsh and mushy. By installing RT Hi-Performance Fork Springs and Gold Valve Emulators the front forks of Sportsters can perform very well. On the rear the stock shocks can be improved upon significantly. 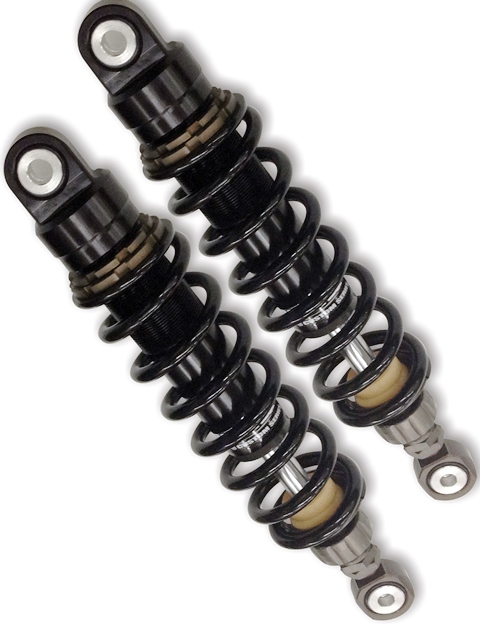 G3-S Series Custom Shocks are available in any length for no additional charge. They are setup specifically for each rider and can be made in a variety of color combinations. Race Tech has supported the XR1200 AMA Vance & Hines Road Race Championship Series in both 2010 and 2011 seasons. We were fortunate to team up with Danny Eslick in 2010 and Chris Fillmore in 2011 to win the Championship two years in a row! Both racers used our G3-S Custom Series Piggyback Shocks that were built 75mm longer than stock to achieve better geometry on the rear. On the front the stock BPF Showa forks were modified and our G2-R 25mm Cartridges were installed. These provided compression and rebound adjustment along with preload. Call for details. Harley-Davidson V-Rods® were the first of the muscle sport bikes introduced to the lineup. These bikes are undersprung up front and the damping is both harsh and mushy. By installing RT Hi-Performance Fork Springs and a Gold Valve Kit or Gold Valve Cartridge Emulators you can significantly improve the suspension. Harley-Davidson® Models of the 1970's and 80's with 35mm Kayaba & Showa Forks such as FXR, FX Superglides, XL Sportster Models benefit greatly wtih Race Tech Upgrades. 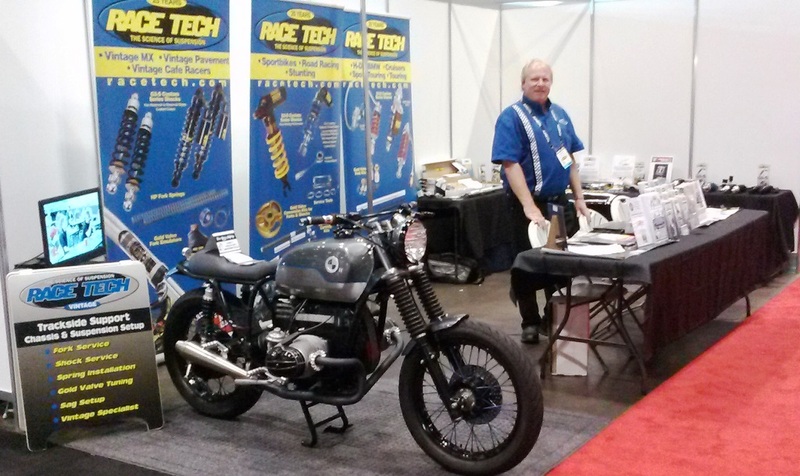 Pan Head and Shovel head models with 41mm Teleglide Forks also have Race Tech Options. These models are undersprung up front and the damping is both harsh and mushy. By installing RT Hi-Performance Fork Springs and Gold Valve Cartridge Emulators you can significantly improve the suspension. TNK Fork Tubes provide high quality repalcement tube options and lenght choices. Rear suspension on HD Vintage models can be improved upon significantly. G3-S Series Custom Shocks are available in any length for no additional charge. They are setup specifically for each rider and can be made in a variety of features and custom lenghts. 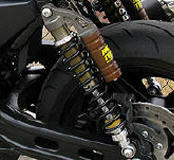 Get the ULTIMATE in suspension performance out of your Vintage Harley-Davidson's rear shocks. Race Tech offers G3-S Shocks in custom lengths. Lowered for custom bikes or Extended for more travel, improved plushness, more ground clearance and better handling. Performance oriented riders looking to improve their Vintage Harley-Davidson's cornering capability will find the extended lenght setup can drastically improve handling performance. If your bike is not listed in our Product Search, you have questions about applications setup or tech support please Email Matthew Wiley for Tech Support/R&D. Race Tech has no affiliation with Harley-Davidson Motor Co. whatsoever. The word Harley-Davidson is a registered trademark of Harley-Davidson Motor Co. and is intended for model reference only, along with other registered names Harley-Davidson uses to identify their various models. Lowering your motorcycle affects handling and ground clearance. Lower at your own discretion.